DJ Khaled is on his way to earning father of the year award. The rapper’s son Asahd Khaled is on the digital cover of PAPER magazine Winter 2017 issue. The young don wore a floral green shirt and matching bright green pants by Terrell Jones. He completed that outfit with Jordan sneakers and some jewelry from Pristine Jewelers. The photo was taken with him standing beside his miniature Rolls-Royce with “BOSS” written on the license plate. 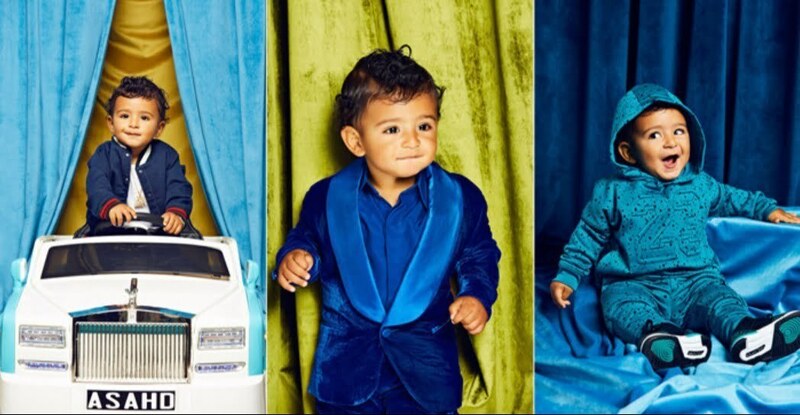 There are several more photos inside the magazine of young Khaled killing different outfits including one of him wearing a blue velvet suit and another of him wearing a Gucci tracksuit. Asahd Khaled recently celebrated his 1st birthday with a grand bash at LIV nightclub in Miami. DJ Khaled and his wife celebrated their birthdays last weekend and a ton of celebrities including Chris Brown, Diddy, Mary J. Blige, and Pharrell Williams. This is Asahd’s second magazine cover in the last two months after gracing the cover of New Times mag last month. The photos were taken by JUCO and his styling was done by Terrell Jones. The vintage clip was directed by David Camarena and features Kehlani and her love interest, played by Aarianna Johnson, showing some PDA while the camera shows shots of bees flying, leaves, and a beautiful backdrop of the blue sky with some clouds. “I like my girls just like I like my honey,” the R&B diva sings while sitting on the roof of a house. Watch video for “Honey” below.